We arrive at your residence at 8am when we proceed to take off the old handles of all the cupboards and drawers (there is a free replacement on all handles on the day if needed). All we require is to have all drawers empty, countertops clear and any glass cabinets also empty as we spray the inside of the cabinets. We then start to seal off all cupboards, cover counter tops, walls and floors to guard surfaces against any excess spray. We sand all the wood that is being sprayed to remove any old varnish or paint that may disrupt the spraying process or contaminate our paint. We then clean all wood with a de-greaser to remove any contaminants and only then will we start the spraying process. 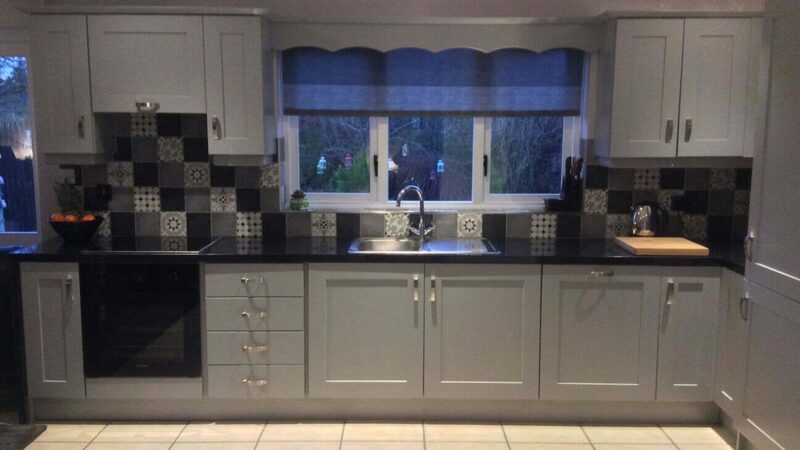 All kitchens receive the 5-star treatment of three coats on the front and back of each cupboard door and drawer. When spraying is finished we reassemble your kitchen and re-fit all handles.